the face of manufacturing in 2012 Brooklyn. The big industrial behemoths that until the 1960s once made Brooklyn a rival to Chicago’s image as the “stormy, husky brawling City of the Big Shoulders” are mostly gone. Domino sugar, Eberhard Faber pencils, Schaefer beer, Pfizer pharmaceuticals, companies that sold their products across much of the country and sometimes the world, have found locations where wages, taxes and real estate costs are lower, traffic is not as snarled, regulations are not as burdensome, and there is elbow room for the scale required by modern machinery and trailer trucks. Their departures have cost the city thousands of jobs nearly every year for decades. But in a shift that has been both celebrated and parodied, Brooklyn is increasingly retaining some of its remaining industrial spaces for small-scale, small-batch manufacturing. A surge of young entrepreneurs eager to produce $7 chocolate bars made from hand-roasted and hand-ground cocoa, or build theater and movie sets or fashion high-end furniture for a connoisseur’s market find the smaller spaces carved out of these old factories precisely what they have been looking for. Click here to read this excellent NY Times article by Joseph Berger. It’s a fascinating account of the replacement of huge factories by “niche” manufacturers catering not only to the rich but to the rest of us who appreciate the diversity, quality and sheer joy of the artisanal. 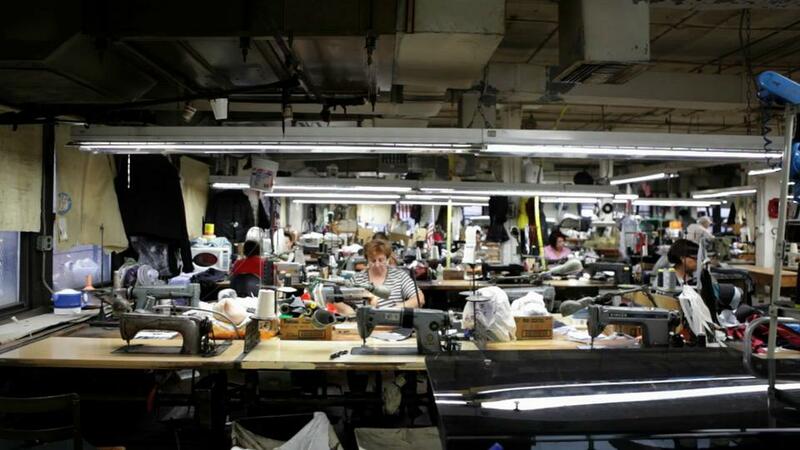 After reading Joseph’s article about the new artisans, take a look at A Factory in Brooklyn (Martin Greenfield Clothiers). They’ve been masters of their craft for over a century and are in greater demand than ever.